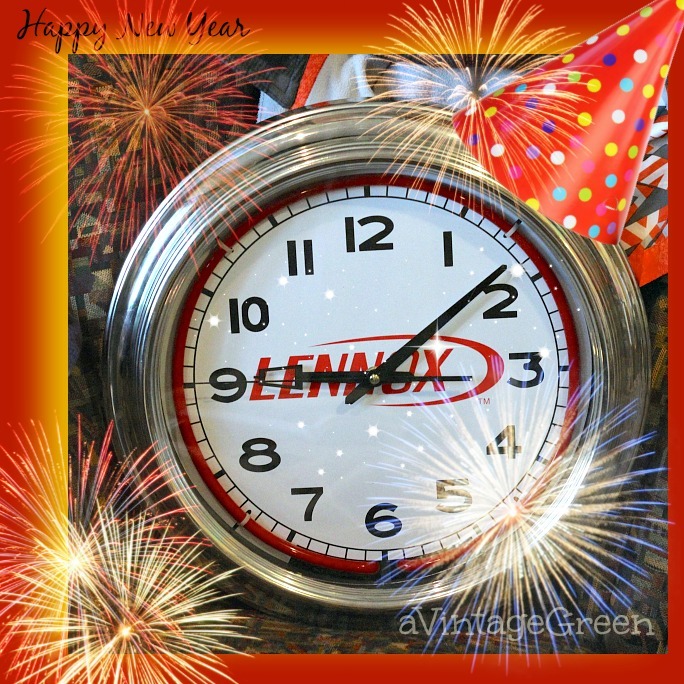 Ready to start the New Year, thinking about what I may do in 2015 and a peek back at 2014. Lots of small projects that I didn't get to this year, things to fix and pass forward. Projects in waiting. 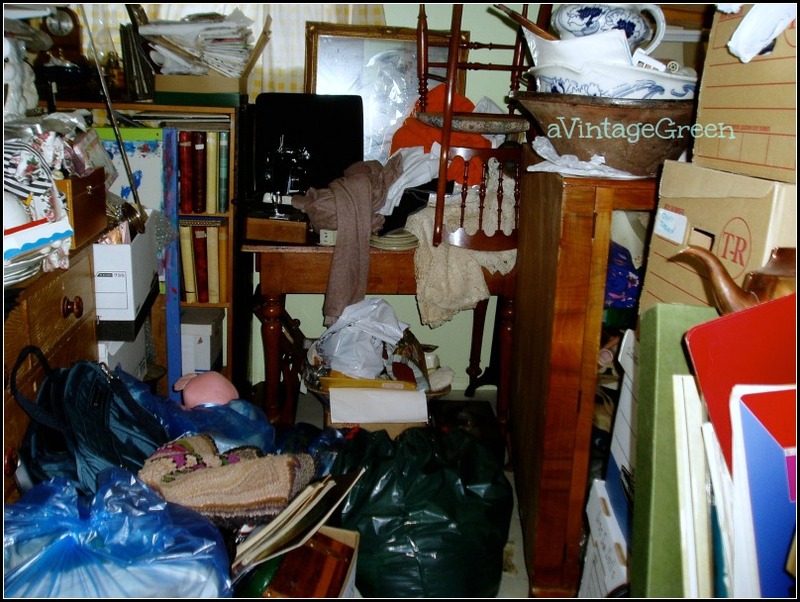 After moving Dad to an Independent Living Suite (with lots of supports added) and going through 30 years of Mom and Dad's accumulations SINCE they retired re-opened my eyes/thoughts about MY accumulations. I will be thinking/planning/winnowing next year. A plethora of rolling pins bought from my booth by a new local bakery - kitty corner from Village Antiques Mall. Lowered accumulation a bit. What does planning, decision making look like? Does it look like living small, keeping only what is necessary? Lists? Donating? Repurposing? Sharing? I wonder how I will do with this over the next year. I will be working on the two parts of my 'stuff', personal family stuff and my collectibles business stuff. Currently the business stuff is winning the way to much volume of things stored contest. This is an older photo of just tiny bit of the huge amount of stuff (that has been since been sorted etc). Perhaps more reality/life posts mixed in with painting, photography, collectibles business, a bit of family, and gardening in 2015. 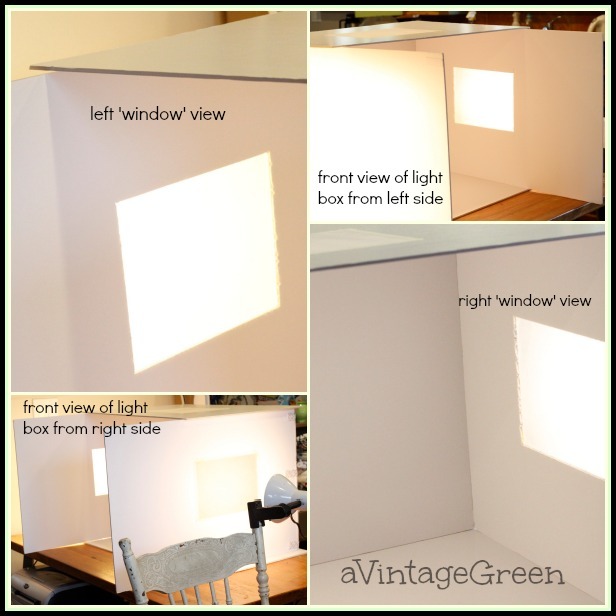 Making my own light box was something that had been on my 'want list' for some time. I had a great time taking pictures while using this box. 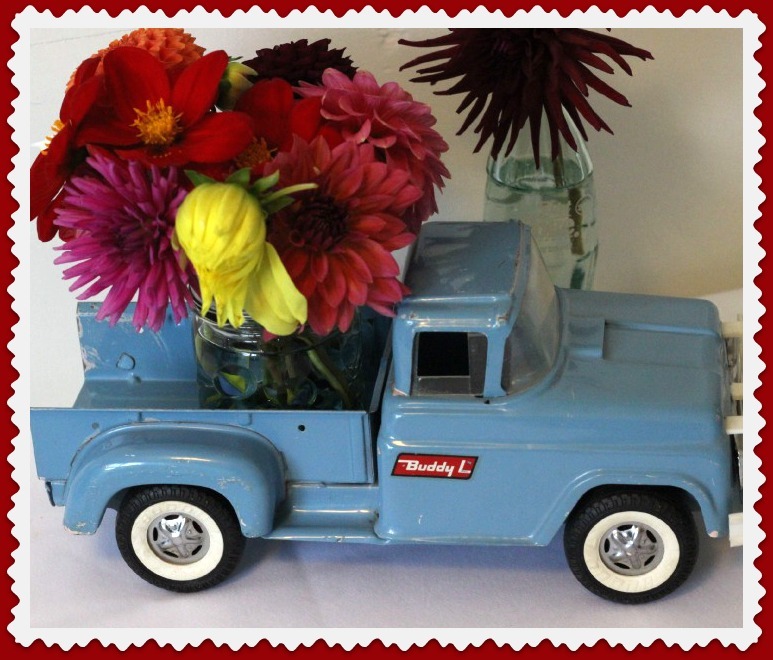 My dear friend Denise (SecondTimeAroundFinds) planned and executed a wonderful wedding. Relaxed, friendly, well run, great details and fun. 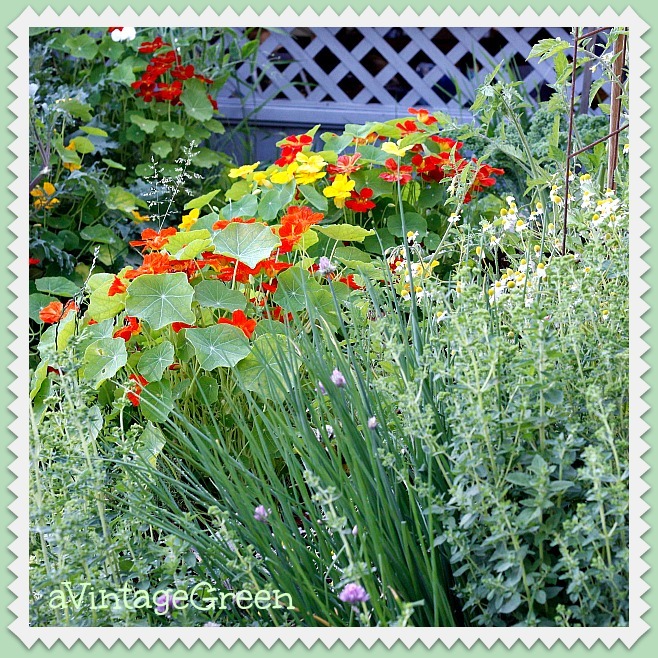 I was so grateful and happy this year to do my own weeding, soil amendment and planting. Last year I watched, this year I DID the work. Not quickly, not with the old energy I once had, but I did it. 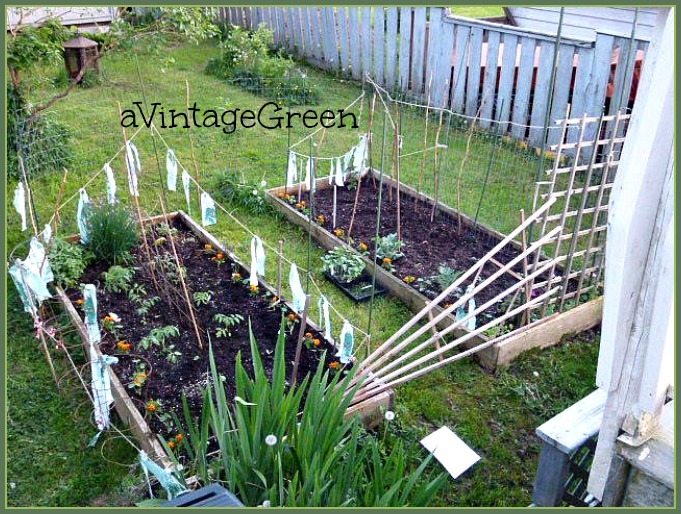 I had fun making wire and post fences to keep the dogs from racing through my garden area, cleaning the beds, planting and harvesting. Oh yes, planted too many tomato plants too. Good thoughts about looking back over the year. Thankful for so many blogging friends. Thankful for the freedom to write and share. Thankful for family, for friends, for time. Thankful that I can follow my passions. i totally get the accumulation problem. I'm a garage sale/freecycle junkie which has made parts of our basement completely inaccessible. Its a work out to sort thru and purge, especially since I can see the potential in so many things to become something else...but not the potential of time and energy, lol. Thanks for sharing your thoughts! Happy New Year! I enjoyed your post I to plan on thinning things out, work on the house and yard. Maybe a green house and lots of gardening. Keeping in touch with family and friends is high on the list... Happy New Year! I remember the wedding. It was one of my favorite posts. Happy New Year Joy! Thanks so much for stopping by and for taking the time to leave such a heartfelt comment on my post about My One Little Word for 2015. 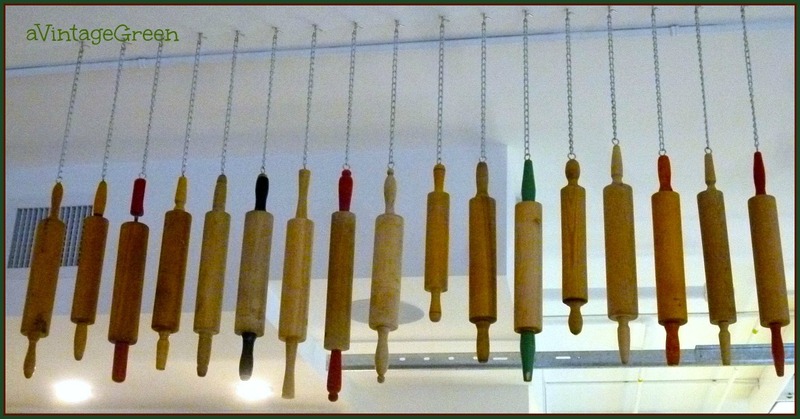 Your rolling pins look fabulous hanging from the ceiling - are they in your kitchen? It makes quite the lovely statement. 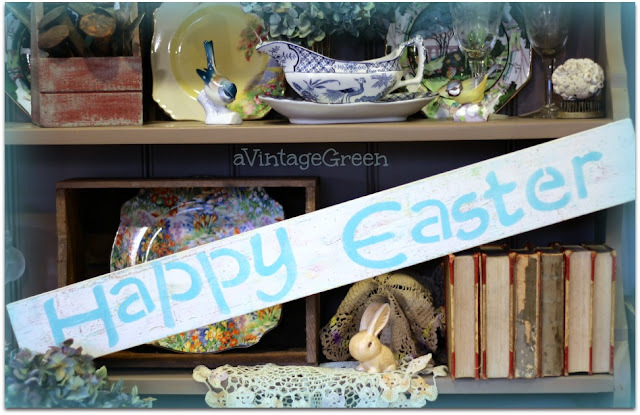 I am so glad you shared this on Roses of Inspiration and I hope to see you again next week. Hugs to you! Wonderful post for 2015!! 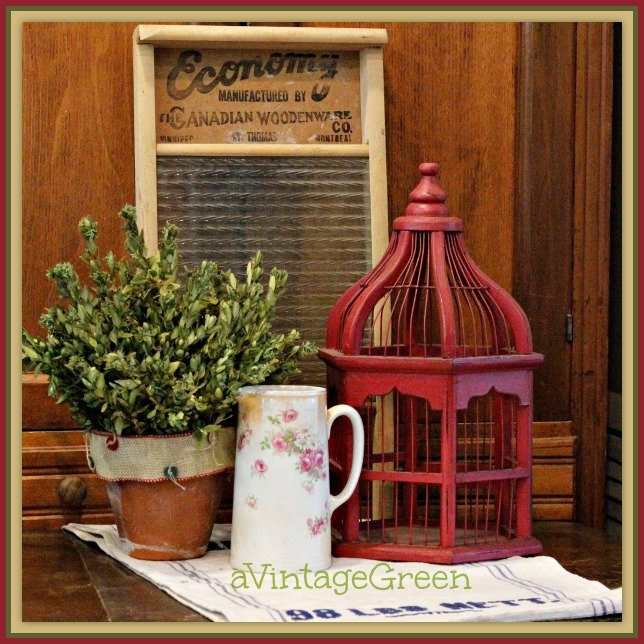 I'll be featuring you this week at Simple & Sweet Fridays. 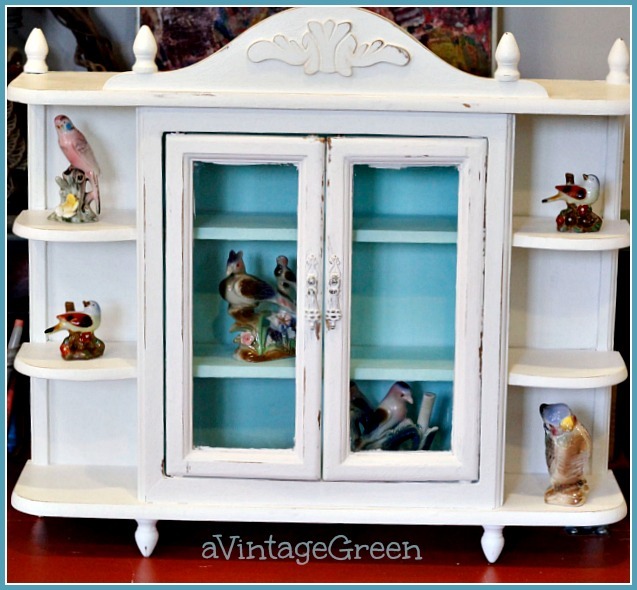 Love the rolling pin collection! I enjoyed this! I like the scrub board and cage vignette especially. So charming!